Junior Isabella Pinera (left) and Junior Mauricio Sosadias (right) have been recognized in this Athlete Spotlight for their athletic ability and passion for what they do. Every two weeks, CavsConnect will be selecting two exemplary athletes and recognize them for their athletic prowess and ability in their sport. 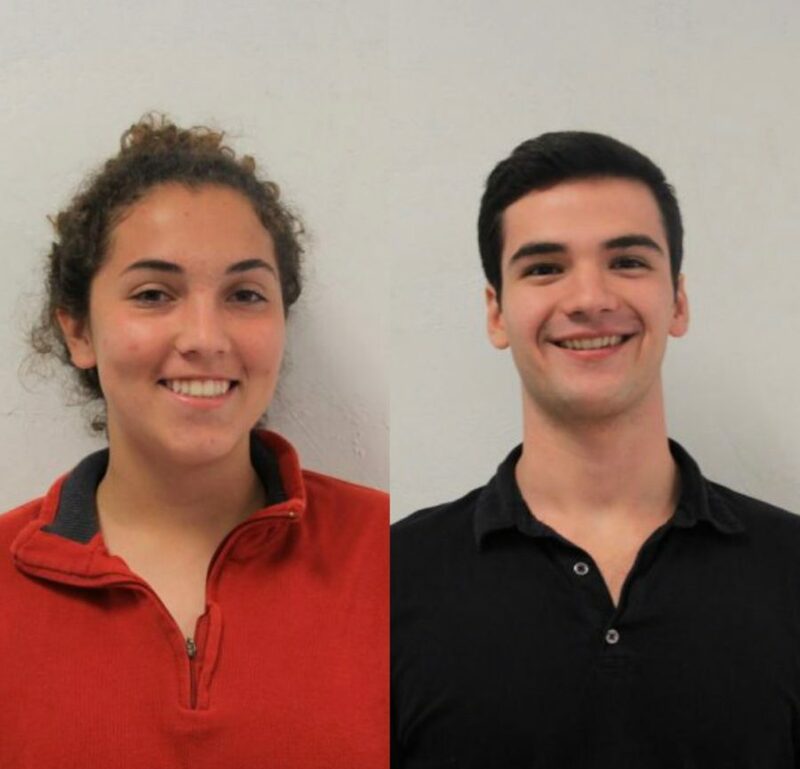 Below are the athletes spotlighted for their performances between Dec. 17 and Dec. 28. Junior Isabella Pinera has been a part of the Lady Cavalier Basketball team since her sophomore year. She was determined to join after playing for the basketball team at her middle school. Pinera joined in an effort to become more involved with the school and to have a chance get back into a hobby she loves profoundly. She is part of the International Baccalaureate (IB) Program which can, at times, make it difficult to balance academics and sports. When she is not focused on her academics, she is part of the National Honor Society, Gables Earth, and IB Honor Society. Before joining the basketball team, she was also a member of the Lady Cavalier Soccer team. Junior Isabella Pinera (top row, center) alongside her teammates. Since last year’s girl’s basketball team consisted of seven seniors, there were several new members that joined, which caused a variety of changes to the team dynamic. To make a successful team, a good sense of companionship is key against a strong opponent. Because of this, Pinera has taken it upon herself to improve the overall team’s chemistry. She notes that she tries to implement as many core team values as she can on and off the court to guide her team to victory. Due to her busy schedule with basketball, Pinera does not plan on joining any other sports throughout the school year. This year, Pinera has helped her team reach an overall record of 7-5. After she graduates high school, she plans to go into pre-law and would like to pursue soccer at the collegiate level. Were you on the basketball team previously and, if you were, how long? I’ve been on the basketball team since my sophomore year. In my freshman year, I played soccer but I switched it up in my sophomore year because in middle school I played basketball and I missed it. Our training consists of ball-handling drills, drills to memorize plays, conditioning, shooting and improving overall team chemistry. What’s your favorite thing about being part of the basketball team? My favorite thing about being part of the basketball team is the sense that your teammates are literally your family and that they will always be there for you. How do you balance your athletics with academics? Balancing athletics and academics is especially hard in junior year because IB is very demanding and hard. But with basketball, we have games and practices every day. So, it is very hard and I have to do homework on the bus or in the locker room before practices and games. What is one of the best moments that you have experienced with your team? 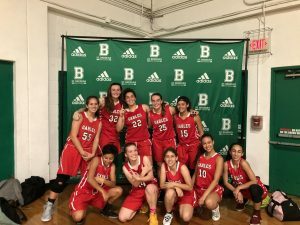 One of the best moments I experienced with my basketball team was when we won our first game that was against St. Brendan because we lost against them last year. It meant that we had a good chance of winning most of our games this year. What do you plan to study after you graduate or are you working to go to to a certain school for your athletics? After I graduate from high school, I would like to play college soccer but we will see. I’m leaning more towards going into pre-law at a good 4-year university and going on from there. Following in his brothers’ footsteps, Mauricio Sosadias joined water polo in his freshman year to come out of his comfort zone and have the chance to create everlasting friendships. Sosadillas has since tried his best to maximize his potential to not only improve himself but his team as well. His training consists of long hours of team practices from Monday through Friday at Ransom Everglades High School. In order to strengthen his skills, he also makes an effort to go the gym on days that he has off. Sosadillas is part of the International Baccalaureate (IB) program which makes his schedule very busy due to the rigorous classes that come with his junior year. Junior Mauricio Sosadias in the middle of match. After high school, Sosadillas is interested in becoming a marketing manager and does not expect to continue water polo at a collegiate level, but will always cherish the dedication that he has put into the team for years to come. He has made countless memories with his teammates that have created a bond with them that will never fade. 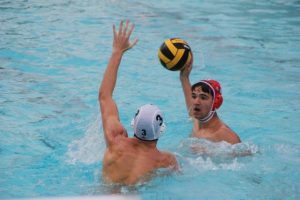 With the halfway mark of his junior year approaching, his goal is to make the most of every moment he has left on the Cavalier Water Polo team. Were you on the water polo team previously and, if you were, for how long? I’ve been on the water polo team ever since my freshman year. What inspired you to start playing water polo? My brothers did water polo in high school (Columbus and Gables), so I guess I just followed in their footsteps. My training consists of water polo practice which happens five days a week. What’s your favorite thing about being part of the water polo team? My favorite part of water polo is the bond that I have with my teammates. It’s pretty hard balancing academics and sports especially with IB and AP classes, but I just take academic hits when I need to. The best moment I’ve experienced with my team was a tied game against Mast last year and we ended up scoring on them to win the game. What do you plan to study after you graduate or are you working to go to to a certain school for your athletic ability? I plan on being a marketing manager in the future, but I’ll probably stop playing water polo when high school ends.